SuperJam - Put your face up and turn the bass up! Don't have Flash? Get it HERE. 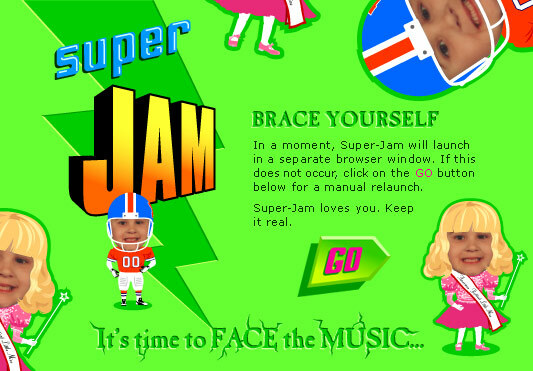 Are you ready for Super-Jam? Watch the trailer HERE and get braced. Super-Jam is a MilkyElephant and HUMANFACE collaboration created for Wildbrain to launch the GAMES division of their website.